The Healthy Children e-magazine is an online parenting magazine published by the AAP; it is a free, digital-only publication available through the iOS App Store and Google Play, or as a PDF download here on HealthyChildren.org (see below). The magazine provides parents with reliable, pediatrician-backed guidance including excerpts from bestselling parenting books published by the AAP and links to audio and video content. Android users may download the free e-magazine on Google Play. 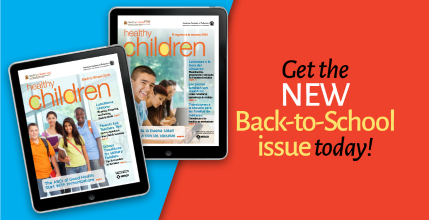 For those without smartphones or tablets, issues of Healthy Children e-magazine are also available as PDF downloads below.